As we near the end of summer it’s great to know God is at work at EBC! God blessed us with a good crowd on Sunday to include first time guests and returning guests as well! We learned 2 ways to put the ax to anxiety. First, pray thankfully! Let’s remember to mix in gratitude in our prayers as we seek God to help us during anxious times. Secondly, think properly! Let’s allow the Scriptures and God’s Spirit to help strengthen our minds, helping us to think properly and put the ax to anxiety! On Sunday evening we were challenged to “Grow Inward” by welcoming new Christians and new members into the church family! It’s the responsibility of each member to take time to show the love of Christ to new folks in the church and help them take their next steps as they follow Christ and continue to worship with us. We put the message into practice immediately following the service as a new family decided to join the EBC family! We cheered and applauded their decision and gave them a warm welcome. God is an awesome God! Let’s keep it up! 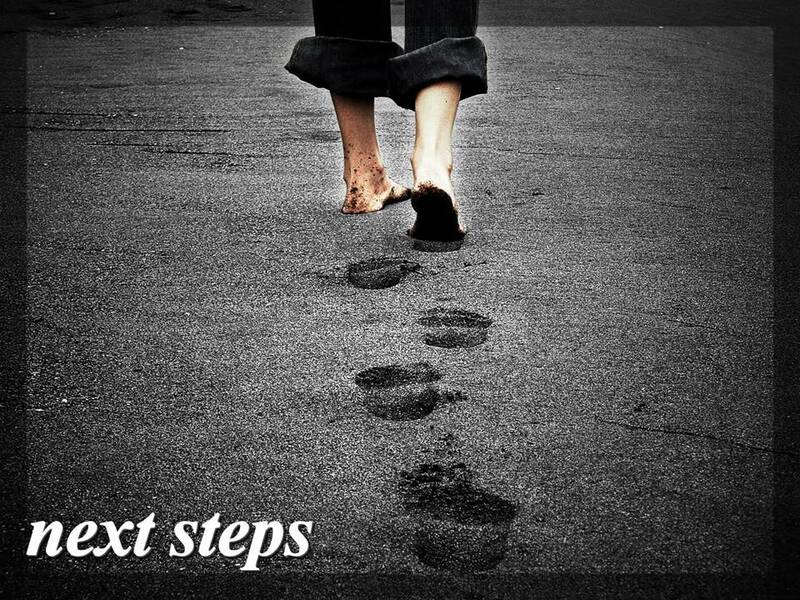 We are taking steps together as we Grow Together as a church family! How did God work in your life this weekend at EBC or your home church? Join the conversation by leaving your comment! We had a great Kid’s Team meeting! We have a great group of ministry volunteers. We all are excited about our summer kid’s event, VBS SpaceQuest! Looking for Jesus to work through us and help us reach new kids and families with the Gospel. I started a new Sunday morning sermon series from the Gospel of John: “Jesus is the One!” God has given Liberty and worked through the Gospel messages—Thank God for that! Ethan Wilkerson, one of our teens, went on a mission’s trip to Honduras! He had a great and safe trip. Thank you for all who prayed and gave to help with his expenses. This Sunday night at 6:00 p.m. we will hear how his trip went. Plan to join us! Some of the Resistance teens went to the Teen Extreme Youth Camp in Pensacola! Please pray with us that God will use this time away at camp to draw our teens closer to Jesus and to one another. Our kids are getting ready to go on a SpaceQuest! Our summer kid’s event, VBS SpaceQuest will be held on Sundays from 10:00 a.m. to 12:00 noon July 15-August 12! VBS is a great way for kids to make friends and have fun while learning the Bible. They will earn points and win prizes by attending, bringing their Bible, reciting memory verses, and bringing visitors! It’s also a great opportunity for adults to connect in an Adult Bible class at 10:00 a.m. Learn more at ebclife.org! A Grand prize will be given on VBS Sunday, August 19, at 11:00 a.m. Join us on this special Sunday and help us celebrate! There are also great opportunities to volunteer and help with the VBS activities! If you have questions and would like to volunteer give us a call at 904-259-1676. As you serve you are helping more kids and prayerfully their parents become growing disciples of Jesus Christ! Thanks for volunteering! Empowering new Wednesday Recharge series starts July 18! God continues to recharge our EBC family during our Wednesday night worship service at 7:00 p.m.! Next Wednesday, July 18, I will begin a new study called, “Can I get a witness?” Come and rediscover one of the main reasons why God saved us and find out what our church is to be doing—evangelism! That simply means as a church we are to be inviting people to worship with us and telling them about what God has done for us so we could know Him personally, have our sins forgiven, receive His grace and mercy daily, and know for sure that we are going to heaven! We are to share with others what God has done for us through the Gospel! It will be a practical series equipping us to be the witness God desires us to be in our community and beyond! Please pray with me that God will develop an evangelistic culture in our church. EBC’s Wednesday Recharge has relevant ministries for all ages including adults, the Resistance for students in grades 7-12, the Kids Zone for kids in K4-6th grade, and a nursery for children 0-3 years of age. It’s that time again to have some fun on the volleyball courts! Both the youth and adult EBC volleyball teams are in action at the community courts. Their games are held on Tuesdays and Fridays at 7:00, 8:00, and 9:00 p.m! Come out and cheer them on! Schedules are available at volleyballministry.net. Our summer will be exciting! Are you getting in on the fun at EBC? How have the ministries of EBC blessed you recently? Start the conversation by leaving your blessing!